The role of Austrian design agency Kiska when it comes to the look and feel of every KTM is well known. It’s unlikely the function and style that has made KTM a manufacturer impossible to ignore would have happened without their input and vision. The Salzburg set – in cahoots with KTM since the initial phases of the Pierer-era in the early 1990s and separated by a mere 45 minute drive – have arguably come more to the fore since the emergence of the KTM 1290 SUPER DUKE R, the re-imagined DUKE family, and then models like the striking genre-less KTM 1290 SUPER DUKE GT. 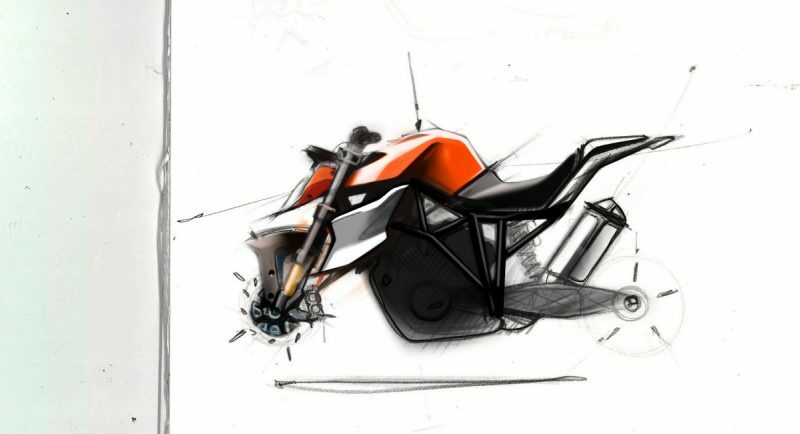 We’ve had interviews and insight with the likes of Gerald Kiska himself and lead designers like Craig Dent on the KTM BLOG but wanted the KTM and engineers’ perspective of how the relationship functions. 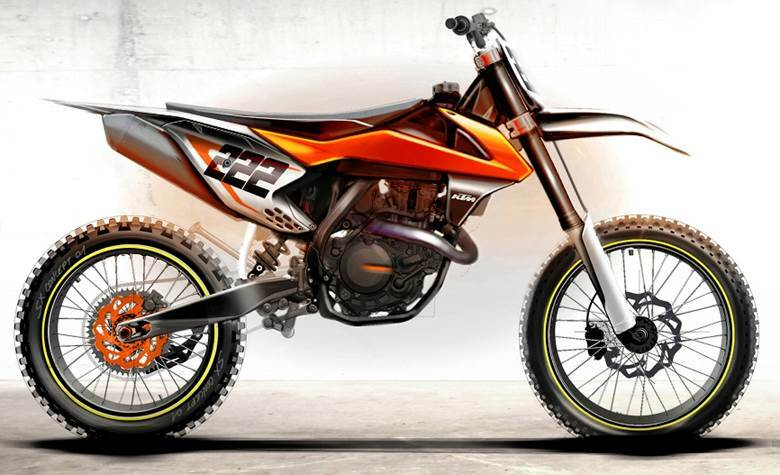 KTM’s offroaders have always carried sharp lines and some clever design thinking (look at the front and rear fender forms) but – in terms of visual impact at least – street have really charged the company’s profile forward; the increased sales figures pushing the firm to become Europe’s biggest manufacturer in the period of five years. Kiska’s synergy with a KTM R&D department that has expanded to become twenty times bigger in the space of twenty-five years (from 24 in 1992 to more than 500 staff) is no more significant when it comes to street but is perhaps more acute in the eyes of the general motorcyclist. Co-operation is thus key but we couldn’t resist asking whether sometimes there were some clashes or tricky moments – not only between the two ‘K’s but also sets of engineers and designers – when it came to compromises and a united ideal for a bike. Kiska comes before KTM in alphabetical terms but the companies are very intertwined when it comes to the genesis of some the most fetching orange bikes on the road, track or trail. The 450 Rally bikes look incredible. This should be the basis for the entire Adventure like… Period. Why the “transformer” design style involved in the current adventure like? 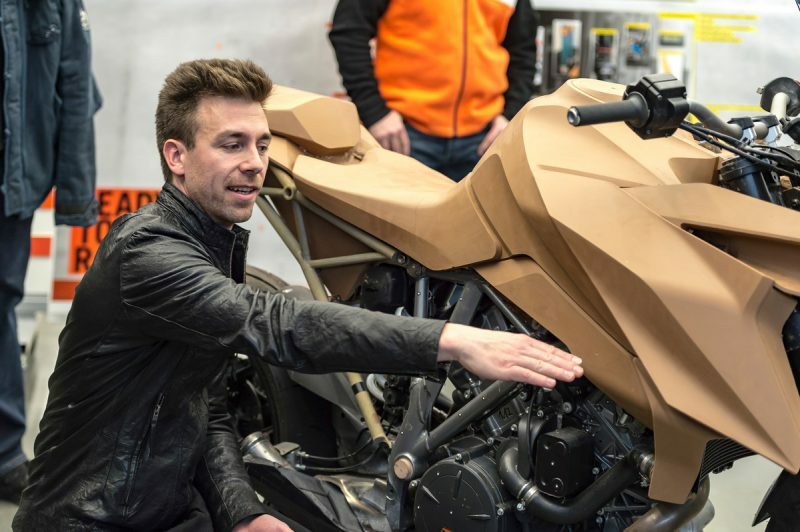 As worse, the Super Duke and SDGT… A face only a mother could love. Now the RC8 was a fabulous design exercise…. And the Super Moto R was a gorgeous bike… Nice to see it reflected in the 790 Adventure. The First Blue 950 Adventure S… An amazing design concept. Style, Form And Function. Kiska is very polarizing in their designs. Ruined the looked of the SDGT, sadly. A visual waste of a mechanical design feat. The tank design of the 1190, 1050, 1090 and 1290 R tanks are ridiculous. Hire Acerbis to solve your tank and side panel designs. You’d have solid piece, smart and savvy body panels that didn’t look like bad Asian origami puzzles. Keep the rally look alive and it will take you to the MONEY!!! 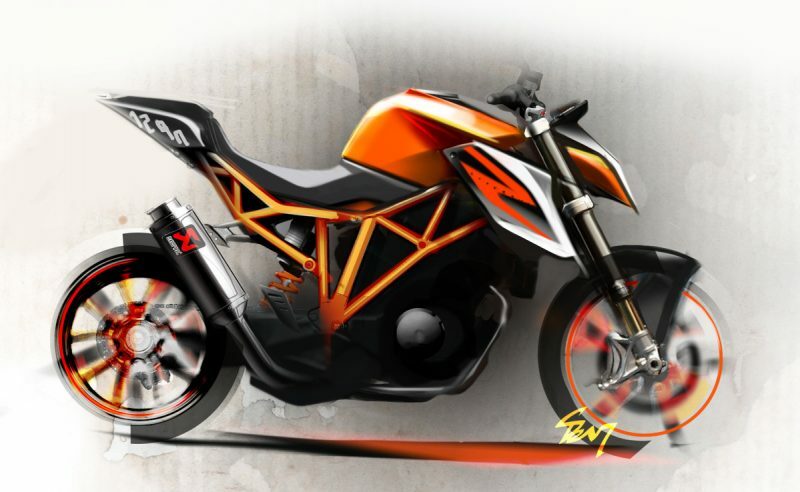 the super duke gt I looked forward to last year, but it was tooooo much!, just too damn ugly! Instead I found a super clean 990 SMT, I own 5 KTM Bikes, that 990 is the only one I purchased used though. I still consider my Black 950 ADV to be better looking than any of the recent ADV models, though if it were stolen, perhaps a 1050 and a paint job would replace it. If you consider BMW to be your main rival , it is easy to beat them on appearance, but in the world, the recent models could use help in the appearance department , To start offer more colors , and the gt beak , lots of us dont like it at all! Next, I like the headlight on the older twins, and I always felt 2 headlights is one too many, I have yet to read the new style head light works better, but i find it silly and ugly also. again, i would consider a 1050 in part because it retains better looks !